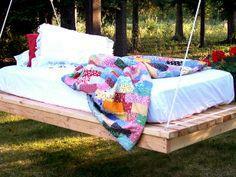 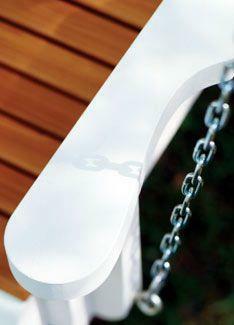 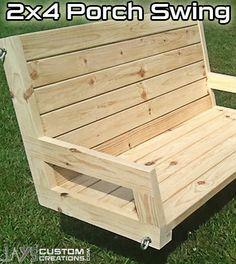 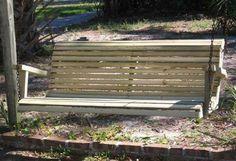 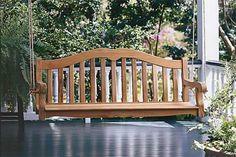 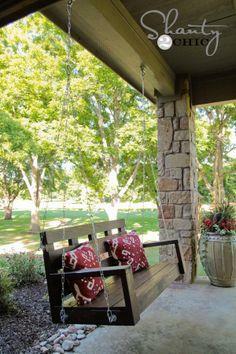 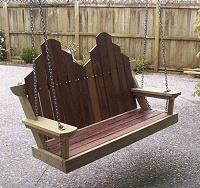 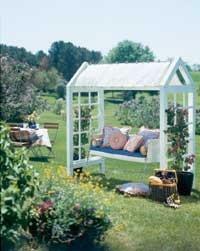 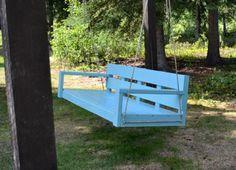 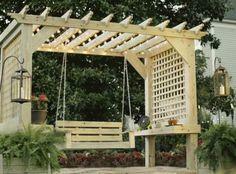 Porch swing plans are great projects for the whole family. 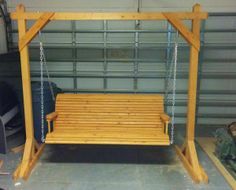 Staining, painting and sewing or choosing great cushions makes the project a family event, and everyone will love taking a turn relaxing on the new comfy swing. 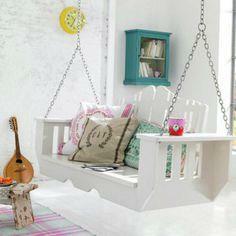 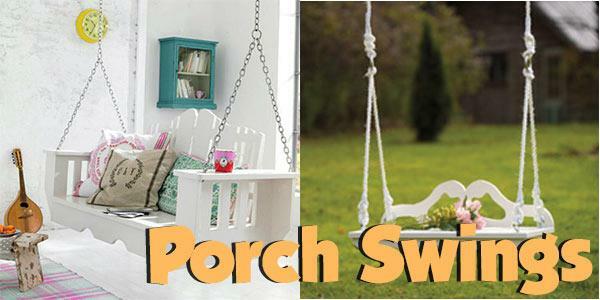 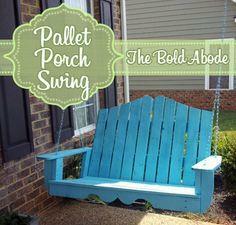 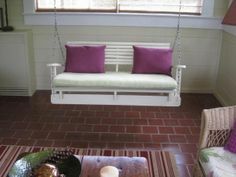 If you've got a great porch, add to its beauty and appeal with a porch swing. 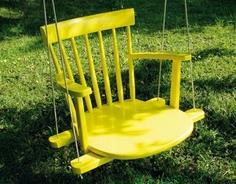 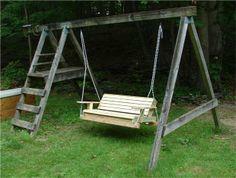 Adding a swing makes this area one the whole family will naturally be drawn and gives curb appeal to your whole house. 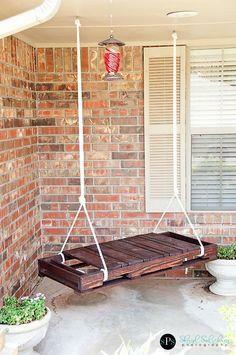 Even if you don't have a porch, you can build a free-standing swing for your patio, deck or garden. 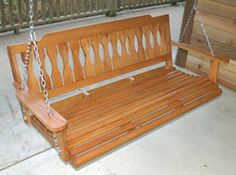 Enjoy relaxing as you swing in either a chair for one or a bench for two with these free and easy plans. 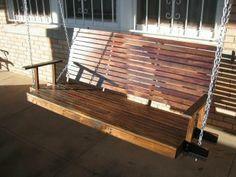 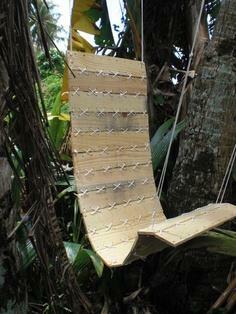 Materials include pallet wood, dimensional lumber, upcycled furniture and plywood.